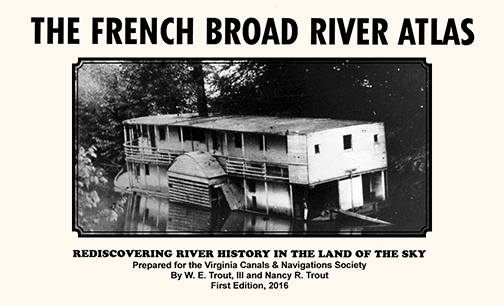 THE FRENCH BROAD RIVER ATLAS, First Edition, 2016. By W.E. Trout III, and Nancy R. Trout. 72 pages plus covers, spiral plastic bound.